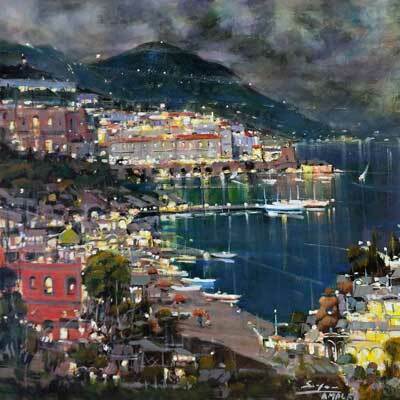 Born in Naples in 1953 Pasquale Esposito continues to live and work in this beautiful city. Having studied at the Institute of Art, Napoli Pasquale went on to teach design. 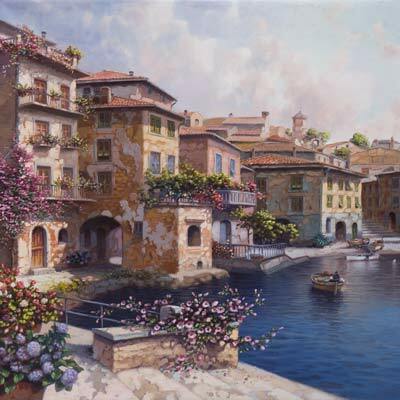 Particularly well versed in landscapes and typical Italian views as well as figurative art, Esposito paints with dedication and focus. 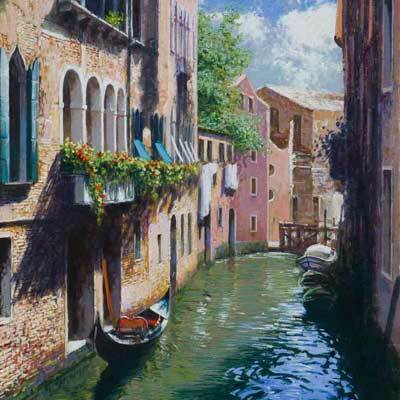 His romantic spirit as an artist has always blossomed from the rich beauty of nature. His simple style and tonal qualities combine with pure compositions of the Italian landscape. Esposito has undertaken numerous solo exhibitions around Italy, also participating in group exhibitions and competitions both in Italy and abroad with much success. 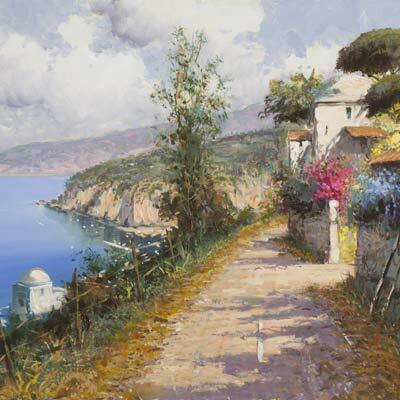 In 1993 he won a particularly important award for Painter of the Year in Naples.